I had an amazing 2018. Speaking at The Big 5 Construct East Africa was a blessing for my personal development and my life’s mission; to leave the world a better place than I found it. Here is an overview of what my session was all about. But I bet, the live session was even much better. Was so engaging. Haha. All credits goes to the owners of all photos used. 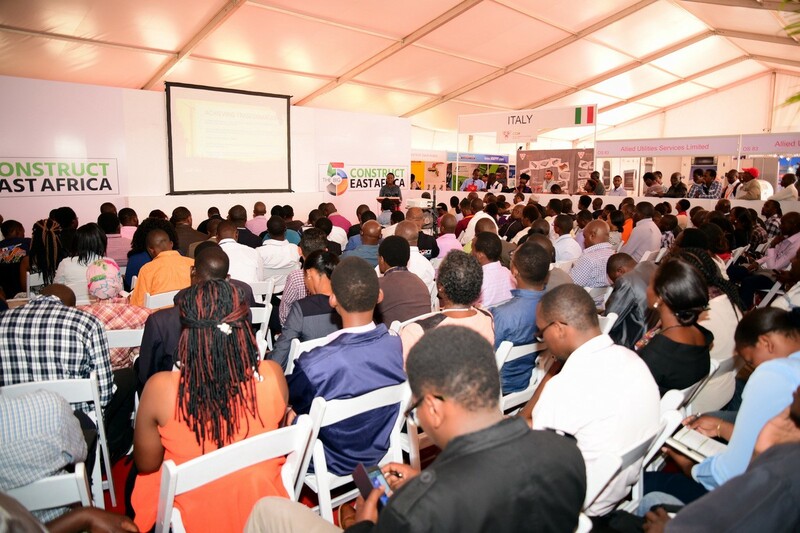 The Big Construct East Africa consisted of 220+ exhibitors from 33 countries, 40 CPD certified workshops (mine included) and 7000+ construction professionals. My session had the largest ever registration. So honored to be part of this. What’s exciting about today with Design and Construction? 21st century takes us into the Era of Connection. All those processes from project design to implementation are being merged! 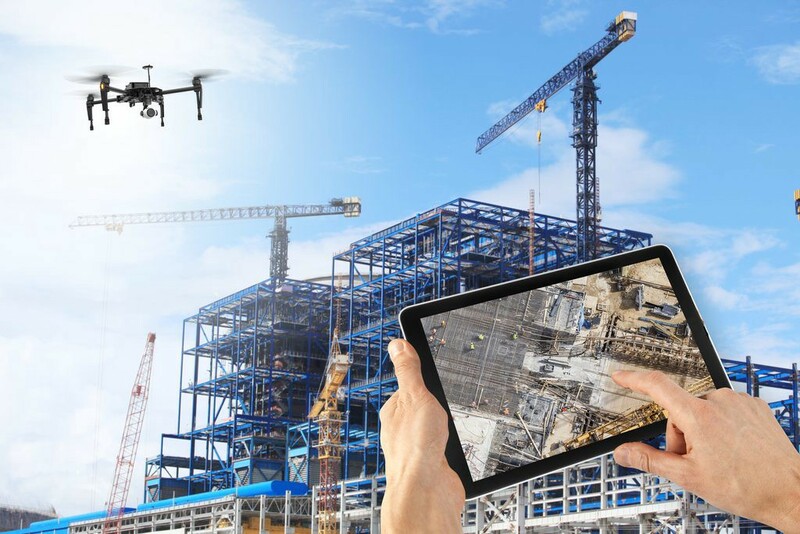 From Building Information Modelling (BIM), Mobile Devices, to Virtual Reality and the usage of Drones in construction sites, Technology is transforming the building sector and industry professionals have no choice but to keep up with new trends and technologies around them. Designing and Construction were two different stages, however, as technology continues to evolve, we’re seeing the two phases slowly converge. 1.0 Building Information Modelling, getting cloud powered. 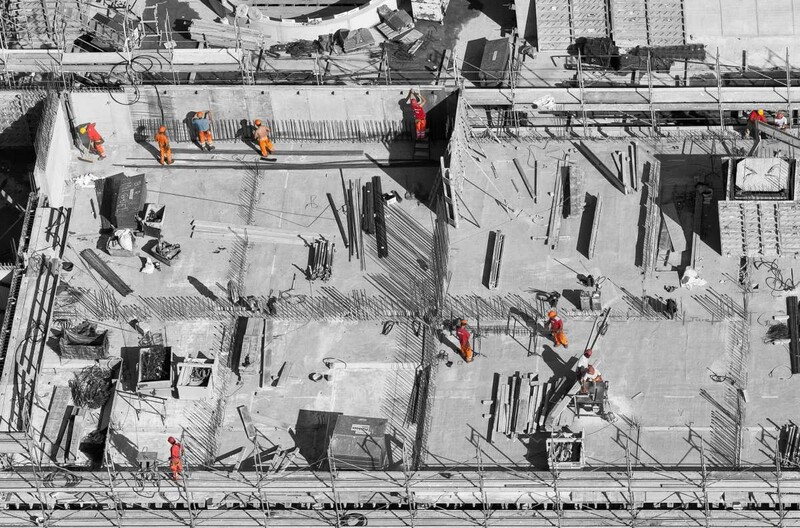 In this era of connection ; BIM, increases predictability and reduces project risks by putting data at the center to connect teams, insight delivery and assets. Data in the cloud brings together designers, contractors and all those teams and puts information at the center of the project. Everyone can visualize inputs from each player. And that’s beautiful. Connected teams stay in sync from wherever they are. Whether in the office or project site and can quickly resolve issues and improve outcomes. 2.0 Virtual and Augmented Reality — Gather data captured from drones, sensors, and laser scans. By bringing BIM and Augmented Reality together, the construction industry is geared up to have an enhanced view of the different phases of the project life cycle and thus have enhanced outcomes. 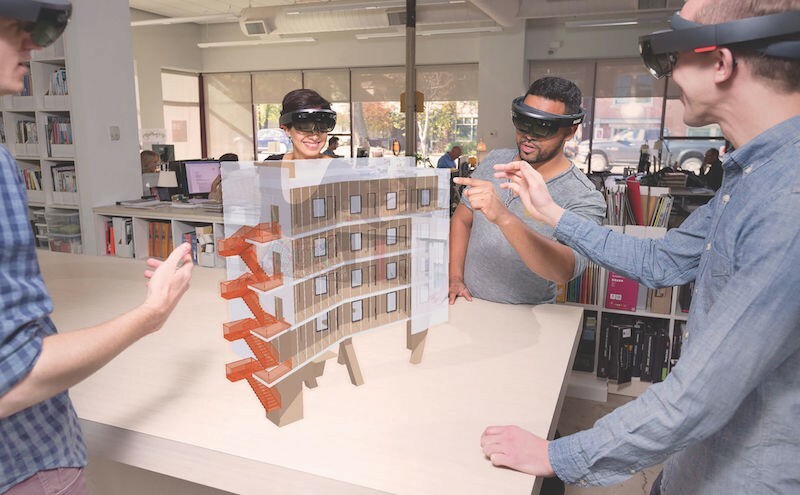 For the first time in history, architects and developers can now render a building at 1:1 scale in a three-dimensional space using either virtual or augmented reality. These technologies enable architects to show clients and contractors their plans in fully immersive environments, allowing them to convey a more accurate depiction of the initial vision and design. 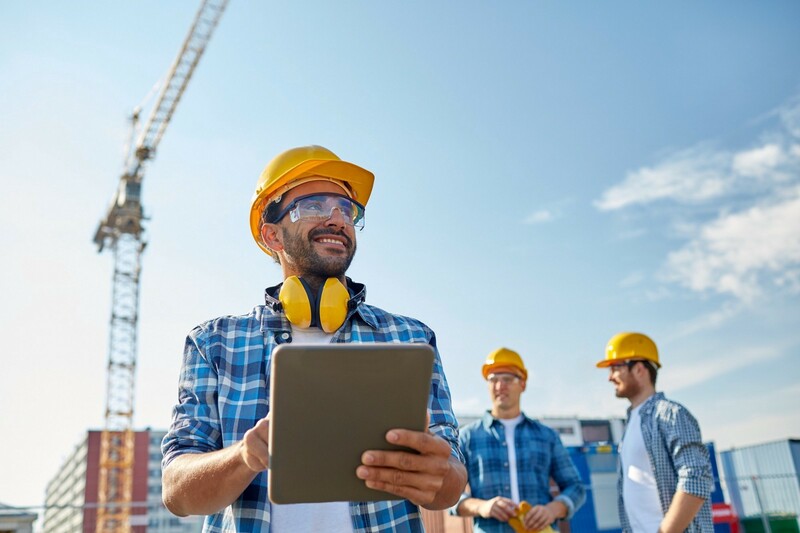 Construction staff can wear smart helmets to help them better understand complex building plans, and large equipment can be driven remotely by off-site users to plumb-align building materials in real time. Virtual reality (VR) is used in the construction industry to provide a fully immersive experience for architects, contractors and clients. It is most prominently used with building information modeling (BIM). Often during this process, digital models may be produced by 3D laser scanning and photos collected by drones or other technologies and are assembled to create a vivid set of life-like, three-dimensional images that, together, form a simulated environment. 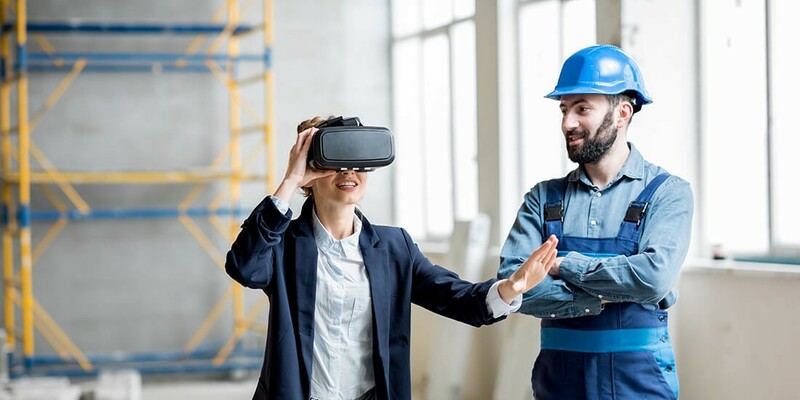 By using a set of virtual reality glasses, users are able to see these 3D models come to life and immerse themselves in the finished building design. 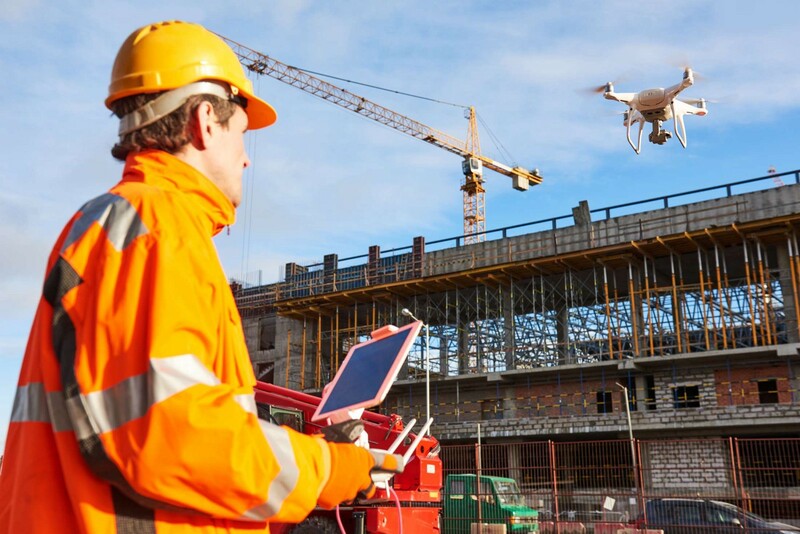 The use of drones is becoming common in large-scale construction sites. Drones are fitted with advanced cameras that are able to capture better images and details that improve communication between them and software on the receiving end. Think of a construction site as in the photo below. Now you want to collect data, just any kind of data; name it. Say track project progress generally. How would you do it? I know you have some random ideas. Then think of a Drone coming. Easy? Information and data available in real-time on any device, anytime, anywhere you are. All is the magic of the Cloud. 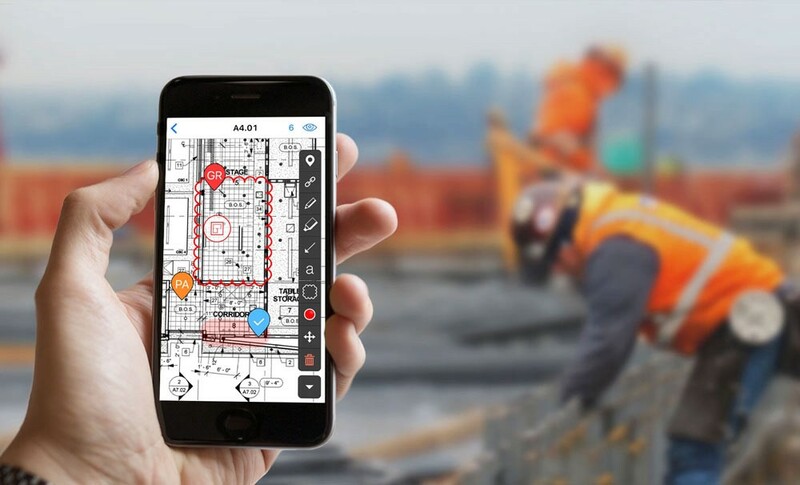 With easy-to-use applications, these devices enable construction industry workers to access, view, edit, and share vital project information even while working on site from anywhere, anytime on any device. Everything available on a single touch of a display. Some construction site-specific devices, with screens that are better lit for viewing in broad daylight, have already been designed to help individuals working on site to communicate with their peers in offices miles away from a project site. Wait, is Africa ready for this technologies? This is happening in different parts of the world already. What lacks is governments’ will to adopt policies that will allow use of some of these technologies in Africa. One exciting technology that is really not widely adopted for commercial use in Africa is the drone technology. Having the best government policies would really be a boost to all these amazing trends happening in the Construction Industry. So, with all these, that means that there is a lot being saved from time, resources, better assets management and ultimately quality design and construction. Thanks to Rubina Carol DSouza for reaching out and giving me an opportunity to be part of this amazing conference in the region! Can’t wait for more!